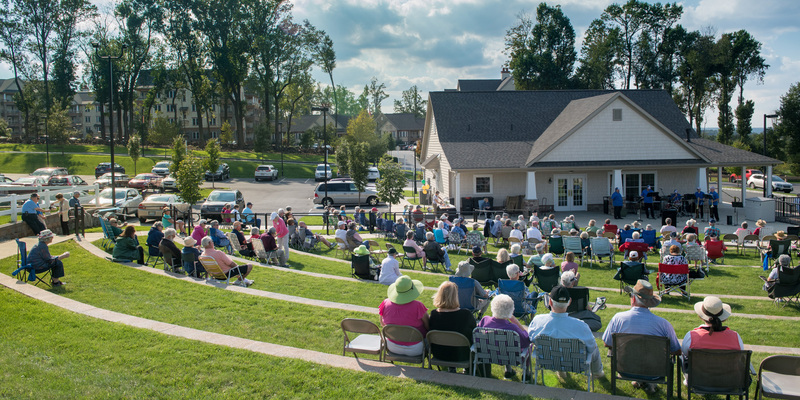 Tel Hai Retirement Community invites those interested in learning more about the ‘Hill of Life’ to join us for a special reception and summer concert. ‘Late Nights & Summer Delights: Reception and Concert by Jeffrey Uhlig and Brian Michael Henry’ will be held on Tuesday, July 16. The reception begins at 6 pm in Grandview Commons and the concert begins at 7 pm in the Hillside Amenities of Tel Hai: Outdoor Amphitheater. Enjoy the thrills of a beautiful summer night and join us for a complimentary dessert reception prior to a concert performance by Uhlig and Henry. Uhlig, a talented pianist, has had notable performances at The Phillips Collection in Washington, DC and Carnegie Hall in New York. Henry, a New York City-based actor and musician, has professional credits at the Chelsea Opera, Westchester Broadway Theater and Cohoes Music Hall. *Bring your own lawn chair, blanket and visor/sunglasses. For inclement weather, even will be hosted in the Center for Worship and Performing Arts.